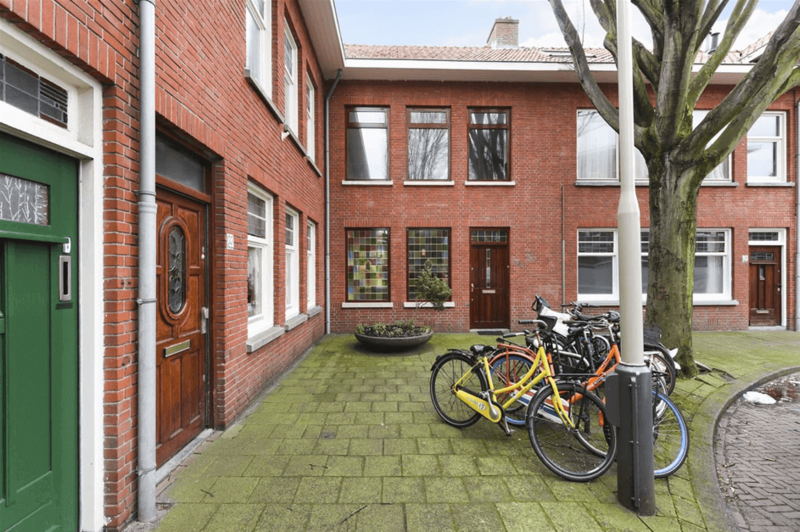 This 3-bedroom house is situated in the child friendly neighbourhood ‘Laakkwartier’. This house offers a spacious open living area with a corner kitchen, a nice sunny backyard and has beautiful stained-glass windows on the ground floor. Close to shops, schools, arterial roads and public transport.